If there is something that I really appreciate in a full face of makeup that is perfect, sharp, strong brows. Brows frame the face and give your eyes an instant lift. I must say that on an everyday basis I probably spend a lot more time filling in my eyebrows than any other step in my makeup routine – if you exclude those times where you want a perfect smokey eye for a great night out. Anastasia Beverly Hills is a great makeup brand for many products but I particularly love it for eyebrow products. 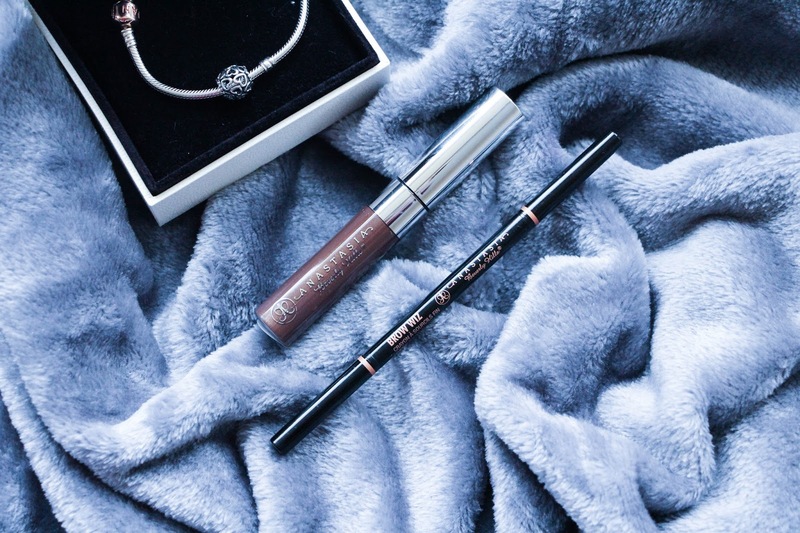 Brow Wiz has been my main secret for my brows and recently I have bought myself the tinted brow gel to replace my L’oreal Brow Artist Plumper and I have to say that although it is a bit more on the pricey side, I don’t regret it at all. Talking about my eyebrow routine or how I look after my brows it is fairly simple: I pluck my eyebrows only once a week and because I don’t have massive eyebrow hairs, I don’t feel the need of trimming my eyebrows although it is a step that I feel that makes a huge difference on your eyebrow shape if you really need it. So this is my very simple and very inexpensive eyebrow care. Some people do HD brows or threading and all those nice things but I am just too scared of giving other people the responsibility of shaping my eyebrows so I do it myself! It saves me time and money too and I am quite happy with the results. Filling in my eyebrows is, of course, a main step on my everyday makeup routine and as said above, Anastasia Beverly Hills has been my savior in that department. So I start with the Brow Wiz in Dark Brow to define the shape and fill them in and after I am happy with it I go ahead with the Tinted Brow Gel in Espresso to set them in place and give them a bit more of dimension and fullness. The Brow Wiz (£15.50) comes with a spoolie in one end and that is something I love as I go with the spoolie after every little step with the brow wiz. The texture is quite waxy and shine free, being great for a long lasting effect. The tip of the pencil is very tiny and thin and this is a great thing about this brow pencil as it helps you being very precised and, if you wish, even draw individual fake eyebrow hairs giving an illusion of fuller brows. I love this product as it always makes my eyebrows look on point! Afterwards I apply the Tinted Brow Gel (£16.50). Now let me tell you, the L’oreal Brow Artist Plumper is great but this ABH Brow Gel is from another world. The tinniest amount of product makes such a huge difference! I apply it very lightly on my eyebrows so I don’t ruin any of my work that I did with the brow wiz and this just enhances all my natural brow hairs giving by eyebrows more dimension and making them look fuller – a detail that I absolutely love. This also makes my eyebrows stay in place all day long! The spoolie of the tinted brow gel is quit large compared to L’oreal Brow Artist Plumper and when I first saw it I thought it was going to be quite a task not to mess it up but actually it is so easy to work with it and also having this size of spoolie helps to distribute the product more evenly. I think that if you are a fan of nice, sharp and full brows you should give these two products a try. Or if not the two at least the brow wiz that, in my opinion, is an eyebrow product to die for. Next Post “You are wasting the best years of your life”, they say.